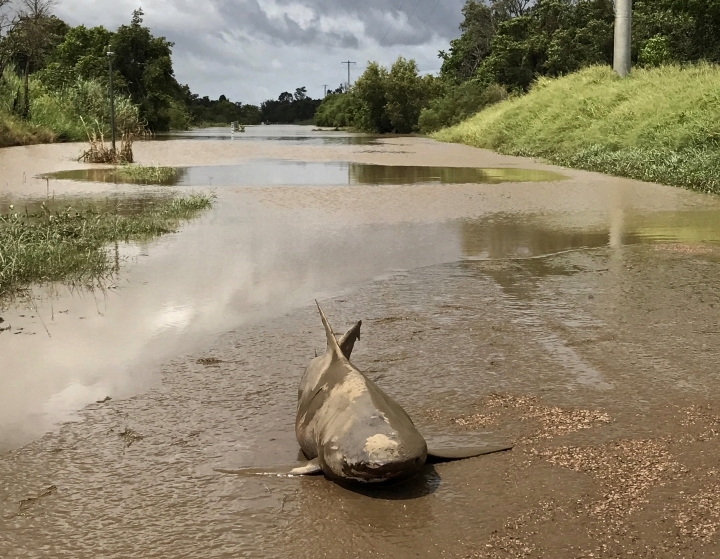 SYDNEY — A powerful cyclone that tore through northeast Australia has left the ground littered with battered trees, ripped-up roofs — and one very unlucky shark. 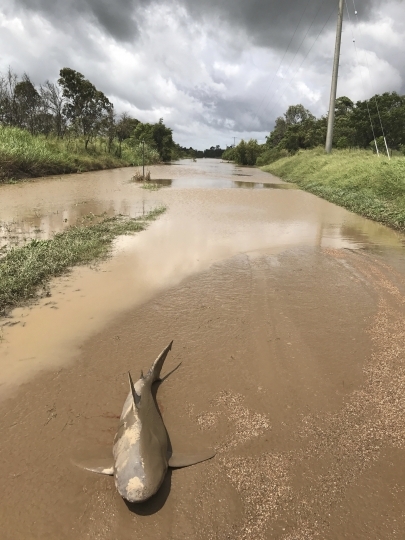 Paramedic Lisa Smith said she was assessing the extent of flooding on Thursday on Rita Island, a coastal community near the town of Ayr in Queensland state that was lashed by Cyclone Debbie earlier this week. As she was approaching the edge of some receding floodwaters, she saw something strange and grey lying on the ground. At first, she thought it might be a dolphin and moved in for a closer look. "Then I saw the fins," she said. "And then I went — 'Shark!'" 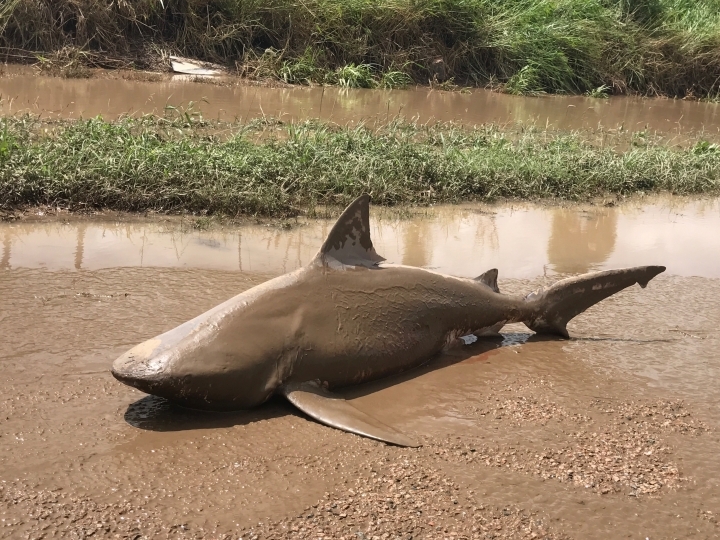 The 1-meter (3-foot) bull shark was already dead when Smith found it. 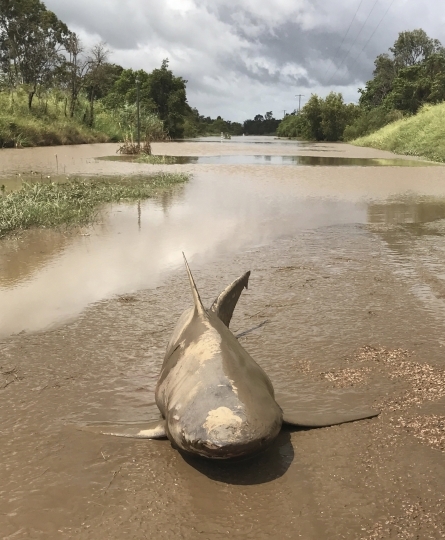 Exactly how it ended up there remains a mystery, though Smith wonders if perhaps the shark was chasing prey up a nearby swollen river and ended up stranded as the waters began to recede. The cyclone slammed into the Queensland coast on Tuesday with winds up to 260 kilometers (160 miles) an hour. The storm quickly weakened as it moved inland, but has subjected the state to days of drenching rain that has caused widespread flooding in many communities.